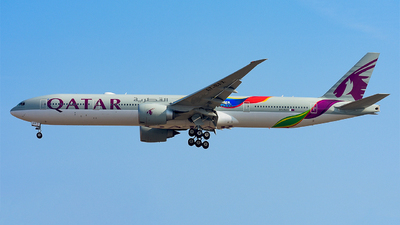 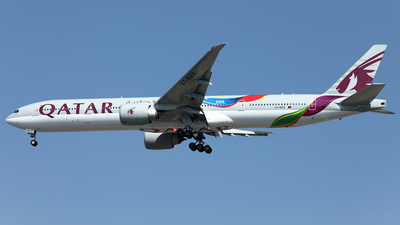 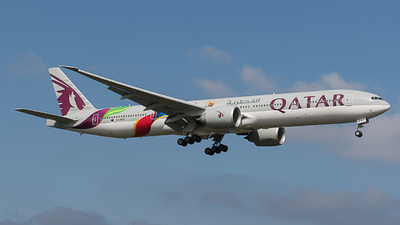 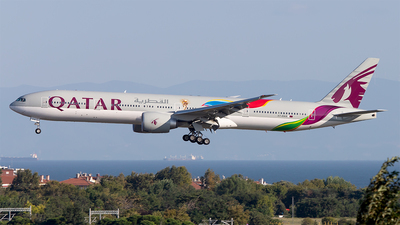 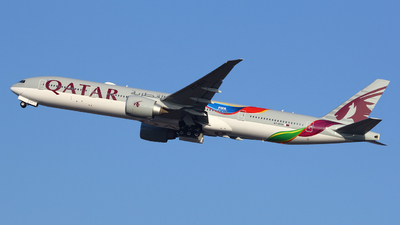 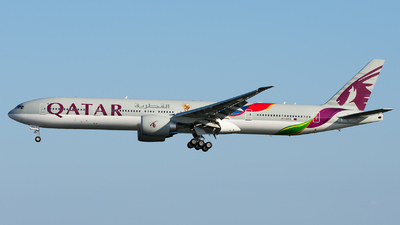 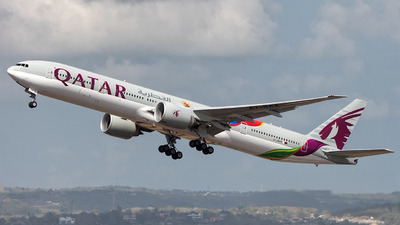 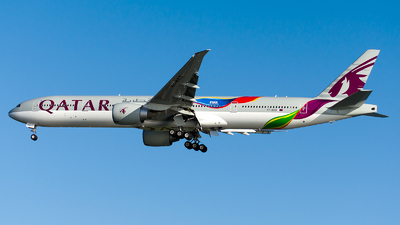 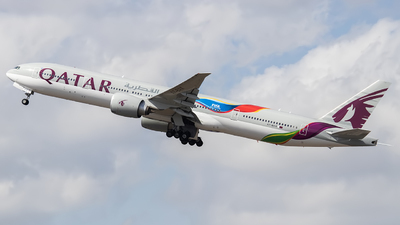 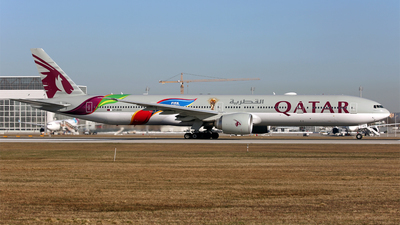 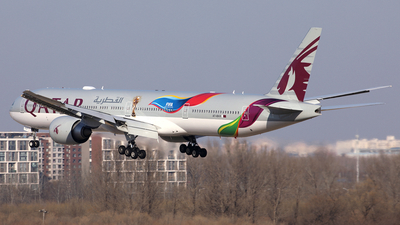 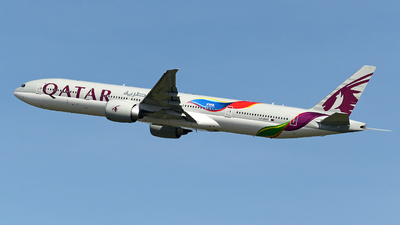 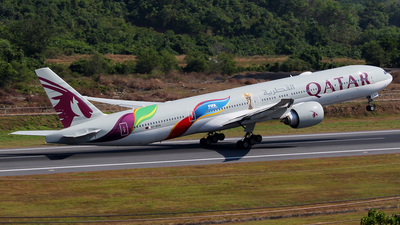 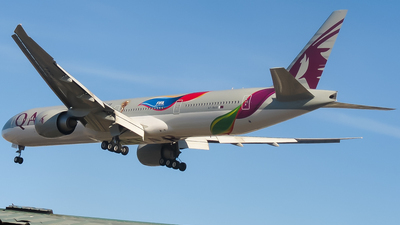 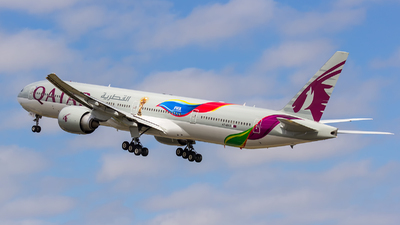 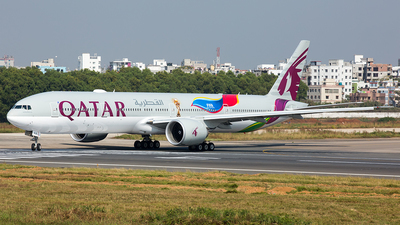 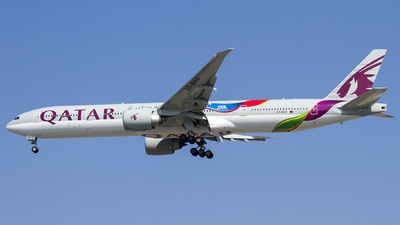 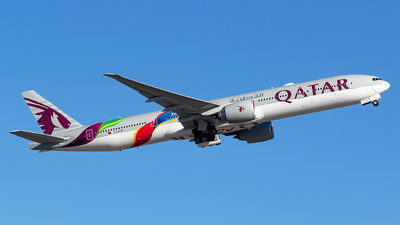 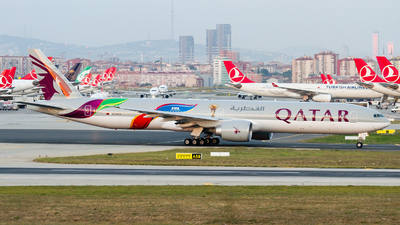 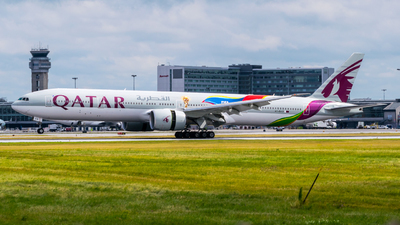 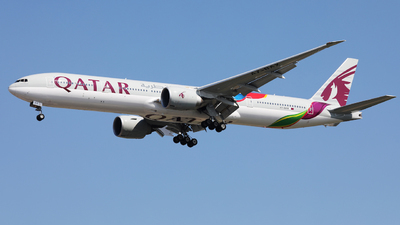 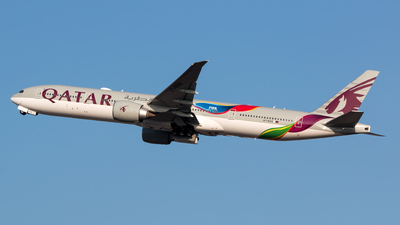 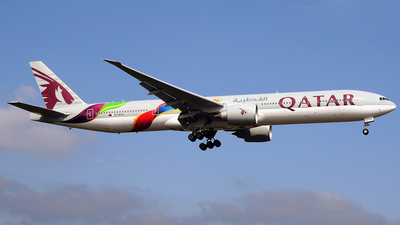 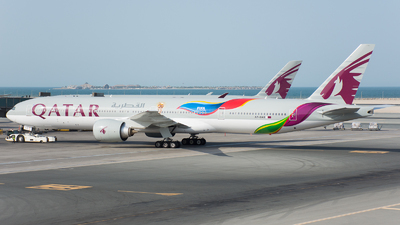 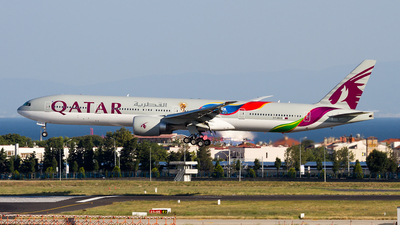 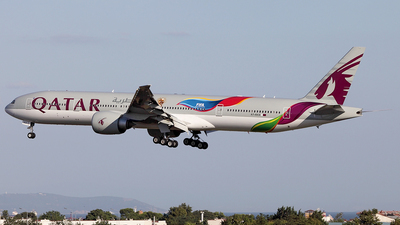 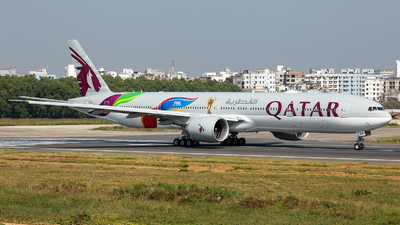 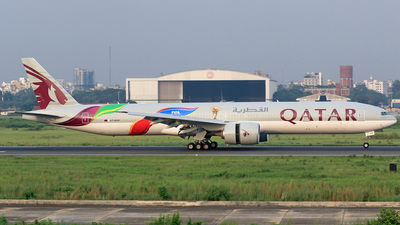 Note: Wearing FIFA 2022 colors on finals rwy 06 as QTR 932 from Doha. 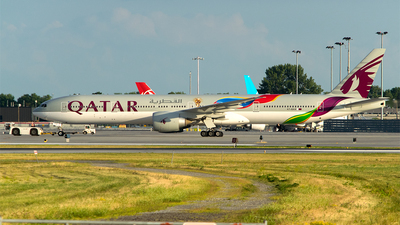 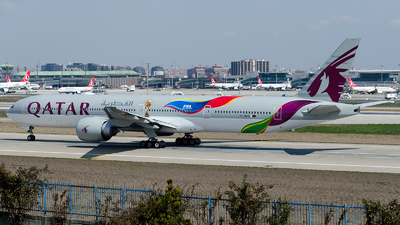 Note: Hand painted with this colorful FIFA world cup livery, "Jarayan Al Batna" is seen here being pushed back for flight QR229 to Moscow (DME) on the 2018 Russia World cup final day. 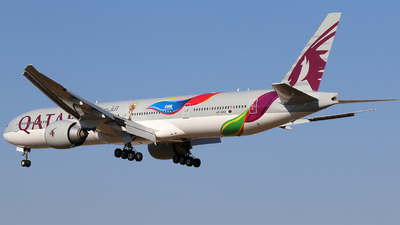 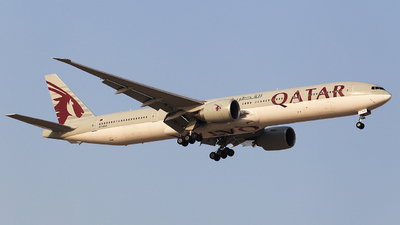 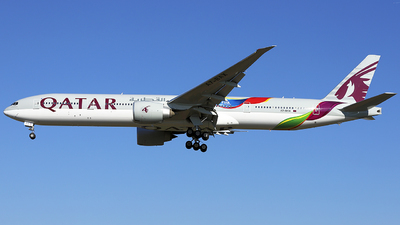 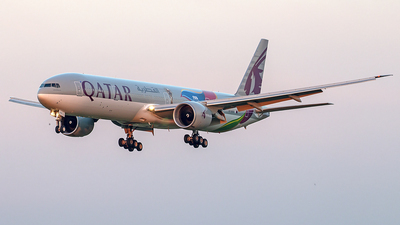 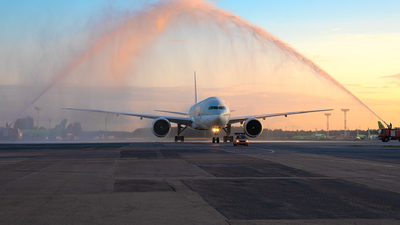 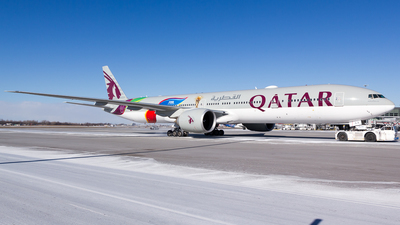 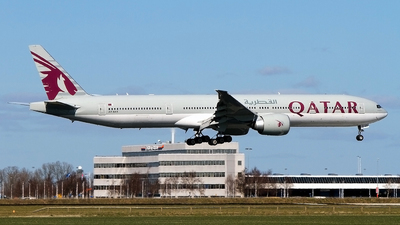 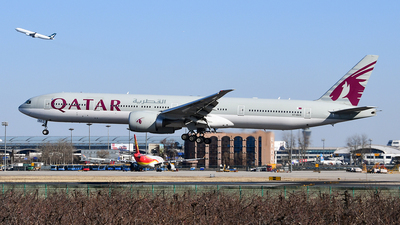 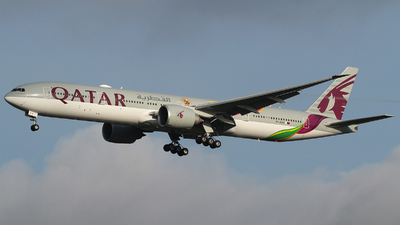 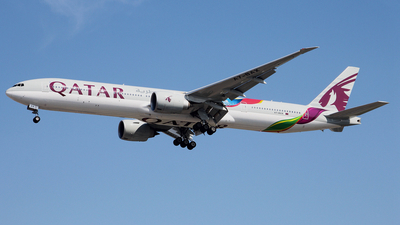 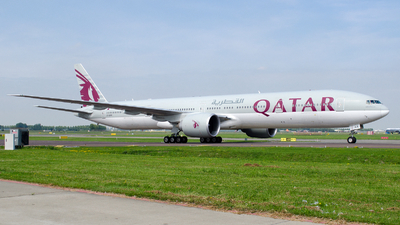 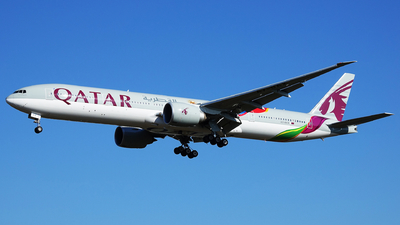 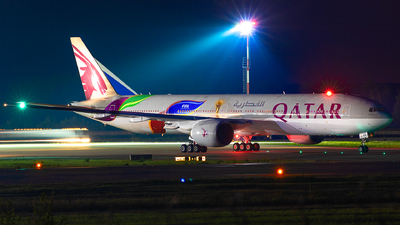 Note: Inaugural flight of Qatar 777 to Moscow, DME. 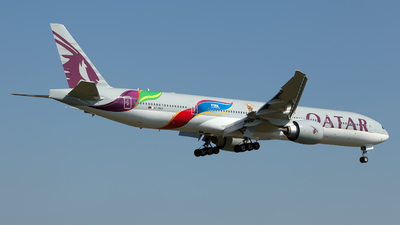 FIFA livery, dedicated to Qatar, next World Cup hosting country. 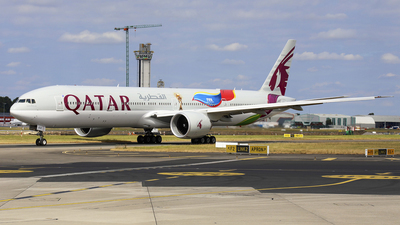 Note: Wearing FIFA World Cup 2022 markings following painting at Dublin. 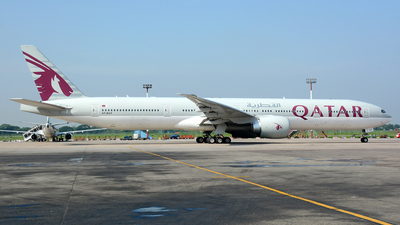 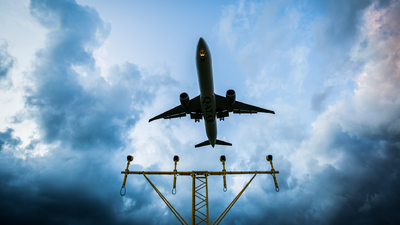 Qatar Airways will be the Official Airline for this event.